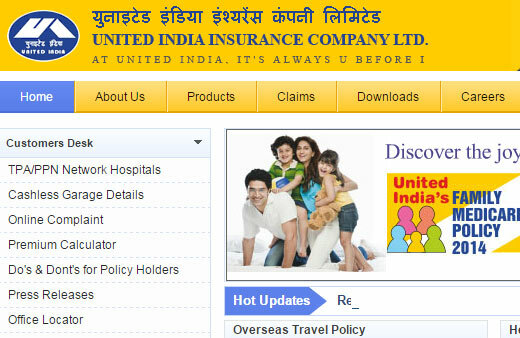 United India Insurance Co. Ltd. is a leading Public sector General insurance company wholly owned by Government of India with a gross premium of about Rs.10, 000 Crores. A rapidly growing company with more than 1600 offices, highest network in the non life insurance industry throughout the country. Company proposes to recruit young and dynamic candidates for its Offices all over India. Applications are invited from eligible Indian citizens for the post of ASSISTANT. Company may conduct On-line Test on more than one date, if need be. Gen-General Category, SC-Scheduled Caste, ST-Scheduled Tribe, OBC-Other Backward Classes. The above calculations are provisional subject to change at the time of final selection. Reservation for Person with Disabilities (PwD) and Ex-Servicemen/ Disabled Ex-Servicemen will be 3% of the total State vacancies subject to change. Merit-wise list will be drawn up State-wise and Category-wise. The candidates who qualify in the online test and shortlisted for interview shall have to qualify in a Computer Proficiency Test.